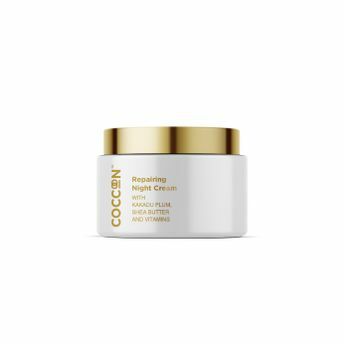 Coccoon Repairing Night Cream has a richer texture than various day creams with specialized ingredients such as Shea Butter, Vitamins and Kakadu Plum extract (Superox-C) which results in a more radiant and younger looking skin. While you sleep, the body has a mechanism to repair, restore and regenerate the skin. Shea Butter, known for its high moisturizing properties, provides instant and deep hydration and moisturization - helps bind skin by creating a skin barrier and retains moisture. Brightens skin. 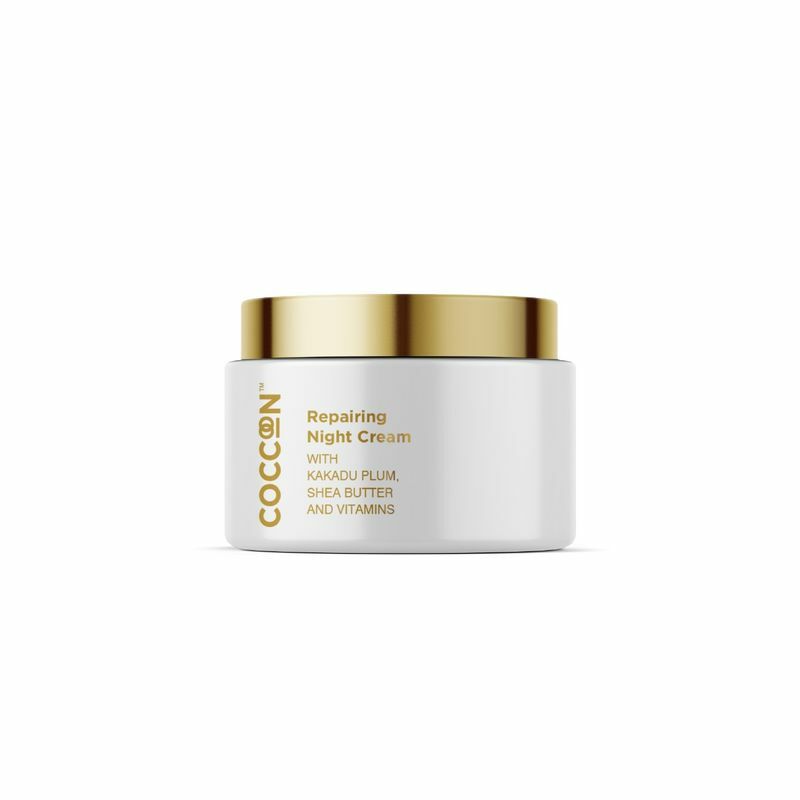 Coccoon Repairing Night Cream contains Kakadu Plum: Kakadu Plum Extract, one of the core ingredients, has the world's highest source of Vitamin C, up to 100 times more than an Orange. Due to its extraordinary antioxidant composition, Kakadu Plum is classified as a superfruit. It is sourced from Australia and it has powerful antioxidant molecules to protect against violent sun-induced free radicals attack.